Dear Blog reading friends; You know I appreciate every time you visit my blog and every time you share it with others. This is awesome and I appreciate it so much. 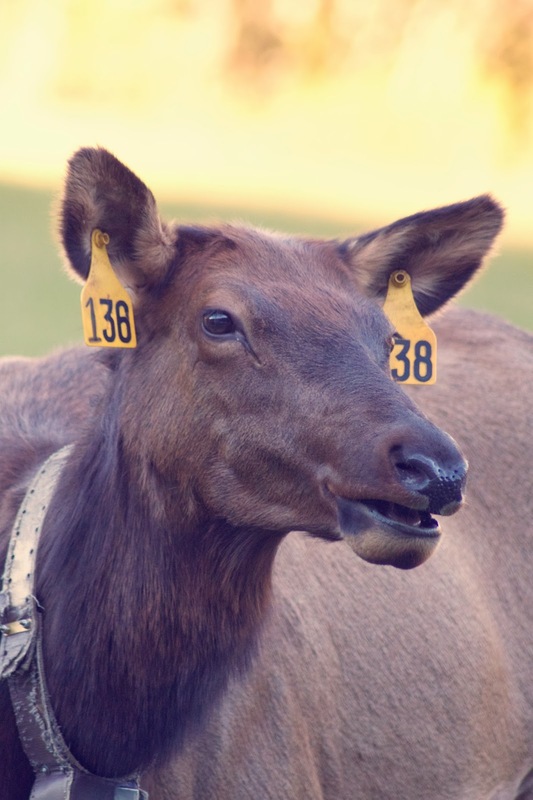 I am currently on a short vacation seeing fall leaves and visiting friends of the animal kind. This "guy" I just met today. Cute, huh? So my blog friends, this is going to be short and sweet. And while I'm not in my classroom right now, I did want to get this to you for this week. Last week I was sharing a little about how I was using choice boards in my classroom. I'm still focusing on choice boards this week because these have become especially helpful for two of my students. 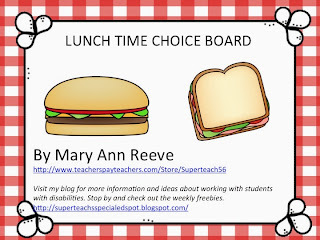 Another type of choice board I am using is a lunch time choice board. The board has items from the cafeteria on it the student is allowed to pick from. He selects the items he wants and places them on his own lunch time board which he takes to the lunchroom with him. This helps him make his decisions prior to going to the lunchroom which facilitates time in line, and helps him communicate his wants to the lunchroom ladies. Enjoy this choice board freebie and have a super week!